Join author Julia Grigg and Dr Jenny Gaschke, curator of Fine Art, for this special lunchtime event which links literature to Renaissance artwork. The talk will celebrate a newly re-hung Renaissance painting by 1570’s Italian painter Leandro Bassano. Dr Gaschke will explain the significance of this piece, while author Julia Grigg will describe how the painting’s subject ‘The Return of the Prodigal Son’ links to her compelling new novel The Eyes that Look – the Secret Story of Bassano’s Hunting Dogs; a fact-based fiction about the Bassano family of painters. Julia Grigg started in fashion, food, travel and arts journalism before working with UNICEF as an advocate for children’s issues in some of the world’s most demanding and complex countries. 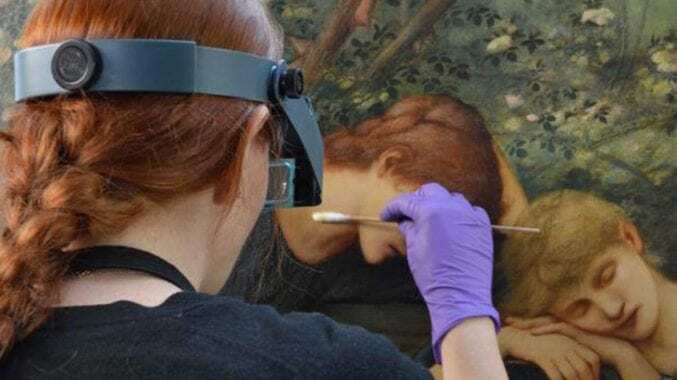 Research for The Eyes that Look, began while studying for the BSU Masters in Creative Writing, allowed her to indulge a lifelong passion for Renaissance painting. Before joining the team in Bristol, Jenny worked as assistant curator at the Staatsgalerie Stuttgart, Germany, and as Curator of Art at the National Maritime Museum, Greenwich. She has a PhD in Art History from Humboldt University, Berlin.